The Colorado Society of Mayflower Descendants will award one scholarship in the amount of $1620 to a high school senior planning to attend any accredited college, university or vocational institution after graduation. Having a Mayflower ancestor is NOT a requirement. The deadline to apply is February 1,2019. Applications can be obtained on the scholarship wall in the main hall. The Alisa’s Angels Foundation awards $5000 postsecondary education scholarships to Colorado Springs area graduating seniors that have demonstrated a passion for helping others. To be considered for a 2019 scholarship, you must complete the following form. The Submission deadline is February 1, 2019. Applications are available online and submitted electronically at: https://alisasangels.org/page/Application . For more information, please see Ms. Taylor in counseling or pick up an information packet on the scholarship wall in the main hall. Over the last 20 years, education standards, delivery methods, and infrastructure required to support effective learning have evolved significantly. With these facts in mind, Calhan School District has begun the process of evaluating our facilities in an effort to answer this fundamental question: Do we have facilities to maximize the educational programs we provide and can we improve them to better serve the needs of Calhan School students and the community we serve now and into the future? Our ability to offer vocational career and technical educational classes, such as Agriculture, Fine and Graphic Arts, Cyber Security, and experience in the Trades are critical issues that need to be addressed as we plan for growth. 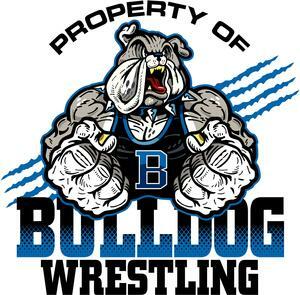 Calhan will be hosting the 2019 High School BFL Wrestling Championship Tournament on January 30th. Wrestling will begin at 3:30 PM. 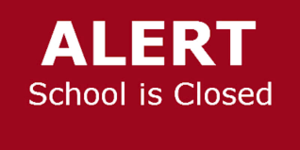 Calhan School District is closed for Tuesday, Jan. 22nd due to poor weather conditions. Calhan High School Is also a full time Drive School. The next Drivers Education course that we offer is December 21st, 22nd, 26th, 27th, and 28th from 8-2:30 daily. To sign up or for more information please visit www.calhanschool.org under the district tab and click on Drivers Education. We also offer Behind The Wheel Training, Permit Testing, and Driver License Testing. For more information contact Mr. Rotenberry at jrotenberry@calhanschool.org.